How important is the choice of worktop to your new kitchen? To answer that question from my own mindset, I would have to say very. For people seeing your new kitchen for the first time, they may be significantly impressed by the use of down-lights, and how this reflects the gleam of high-gloss units across the length of the room. A year down the line from your new kitchen, and the ‘brand-new’ aroma has sadly dissolved. You are left with the practical elements of your kitchen – particularly if you went for units like the pull-out larder or the magic corner. The practicality of these will continue to shine and flourish for years, until they fail to work no more. The same can be said with the worktops. Now, generally speaking, there is a vast range of worktops available.. This is where aesthetic necessities and practicality join hands within the mind of the consumer. 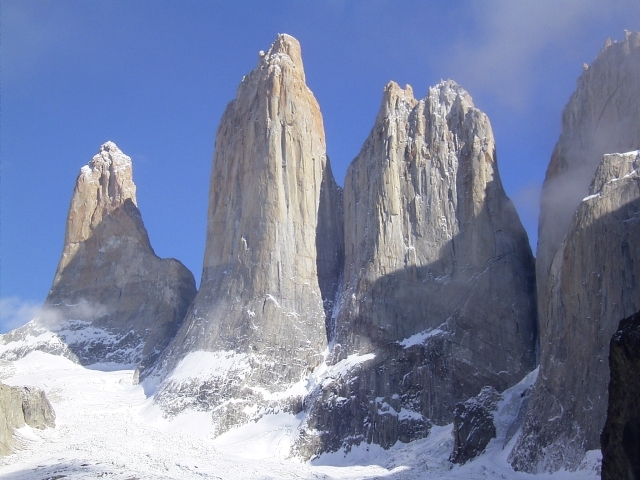 Would you believe that this is natural granite? Granite, Corian, and solid wood. There, I’ve said them. (For those laminate fans out there, I will go on to talk about these at a later date). From a first-hand perspective, these are arguably the most popular types of worktop. Each one has distinctive elements which draw a particular type of consumer to them – of which I am going to talk about below. Granite – It has to be said that granite is the more traditional and conservative choice for worktops. To give you a little bit of an insight, granite is formed from solidified magma, after the intrusion of other rock types and textures. 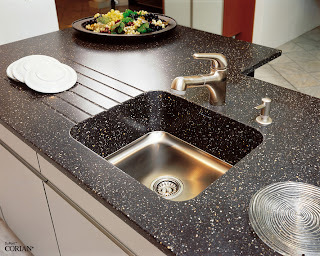 This is what gives granite its absolutely gorgeous finish. Available in a wide range of colours and textures (as seen here), they remain amongst the best selling and most desired worktops for luxurious new kitchen designs. A beautifully sculpted Corian work surface. Corian – Manufactured by DuPont, Corian is a solid surface material. To get a little bit technical, it is created from a composition of acrylic polymer and alumina trihydrate – bet you didn’t know that! Corian can be thermoformed (formed into shapes once relevant heat has been applied) after being heated to 150°C, allowing the unique and spectacular shapes we see in kitchens across the world. Whether this be an integrated Corian sink, a templated one-piece or something entirely unique, it certainly allows the consumer a wide variety in design options. With an extraordinary range of colours and textures, Corian has certainly established itself amongst the worktop forerunners. It would be easily argued that the clean lines and non-porous composition mean that it remains stain-free and easily manageable. Certainly worth considering, however it can be a very expensive worktop if you opt for integration, 60mm or up-stands – even more if you opt for all three! However, you browse the web looking for comparisons between Corian and granite, and you will always find Corian coming out on top. – Such a simple comparison. Traditionally used in, well, traditional kitchens. It can aso be used to create a funky contemporary look if incorporated into a design correctly. There are some massive benefits to having solid wood worktops. Fitting becomes an easier process, usually able to be done by the kitchen installer – removing the need for specialist templating and fitting. Another huge selling point is the ability to ‘refresh’. In 5 years time, if they are beginning to show their age, they can simply be sanded down and re-oiled, to restore their original, brand new beauty! People are often concerned about the lack of colours available, and the slightly strange worry of getting splinters. 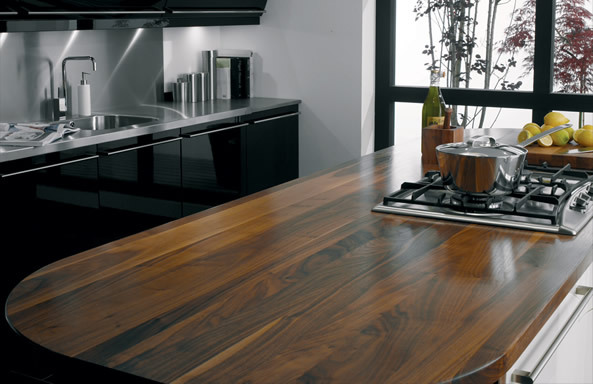 There are actually a wide range of finishes within the solid wood worktop, allowing it to be used with a wide range of door finishes and styles. Significantly cheaper than granite and Corian, they are indeed a very good worktop, particularly for the more traditional-minded customer! So there we have it – a run down of three popular different work surfaces. I hope this has been more than just a boring 5-minute read for you! Think I should have included another type? Do you want to add Egger or Encore to the discussion? Please, feel free to add to the blog by posting your own below. Why should you choose us to install your kitchen?